This 1960 MGA radio, although made by Motorola, is in an all original car. It fit the dash without modification. 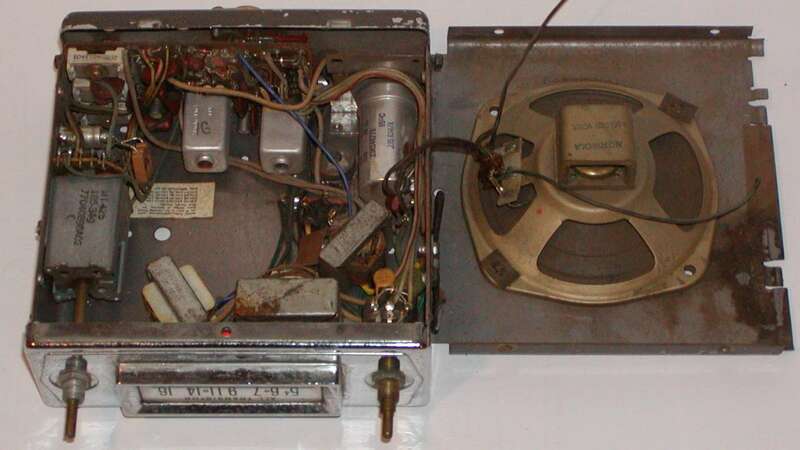 The radio had very little room for the installation of the conversion components, despite being transistorized. The car was restored maintaining the original 12 volt positive ground electrical system, making conversion more difficult. 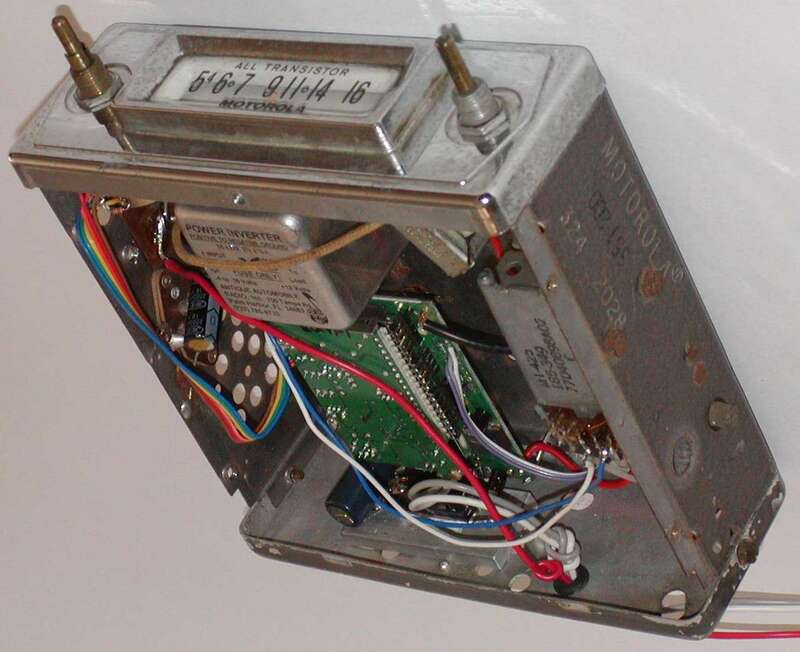 In order to create room for the new electronics, the original speaker was removed. It was insufficient for the new high power radio in any event. The inverter is located above the printed boards in this view, making the radio self contained.